I can make myself get up t0 go to work. I can make myself exercise, even when I don’t want to. So why is it so hard to NOT eat something that’s bad for me? I have felt the exact same way when it comes to food. But now that I know WHY I can’t stop eating, I feel a little more in control. It’s hard to find foods on the grocery store shelves that don’t have some kind of sugar, corn syrup, sucrose, dextrose, cane syrup, rice syrup, etc in them. We are a sugar and salt addicted society. It’s not your Will Power that’s to blame. 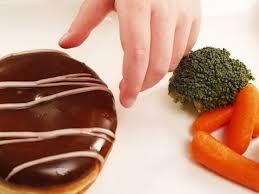 It’s the addictive nature of the foods around us. So BREAK THE HABIT! Allow yourself to enjoy filling flavorful foods, but avoid foods with these addictive gut busting ingredients! You’ll feel more empowered! So True! Eating sweet vegetables is a great way to curb sugar cravings. This Rant I actually wrote for some of the medical assistants at work, and anyone who struggles with cravings to encourage them to consider ingredients and avoid chemicalized foods! But you’re right, REAL food and home cooking are great staples to a healthy diet! In Chapel Hill the other day I bought fat free yogurt at Trader Joe’s. When I tasted it, used to almost sour Greek yogurt, I said,” Wow, this stuff is sweet”. Then I saw how many grams of cane sugar are in it. Yuk! And I thought I was careful. So glad to hear you are checking labels! It’s scary sometimes how much salt, how many preservatives, and especially how much sugar is added to out foods!